Of all Hitchcock's films, this is the one which most reveals the man. 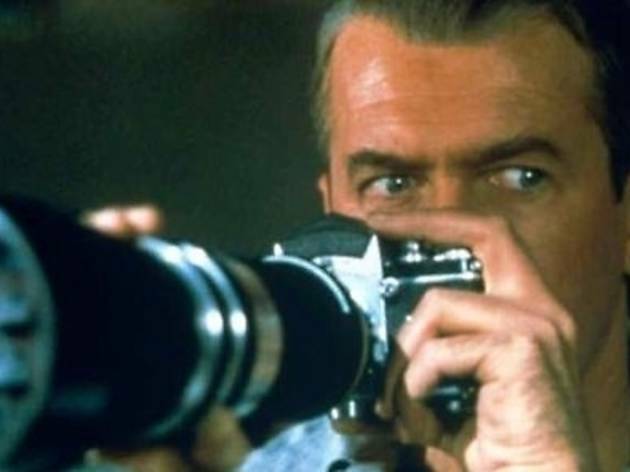 As usual it evolves from one brilliantly plain idea: Stewart, immobilised in his apartment by a broken leg and aided by his girlfriend (Grace Kelly at her most Vogue-coverish), takes to watching the inhabitants across the courtyard, first with binoculars, later with his camera. He thinks he witnesses a murder... 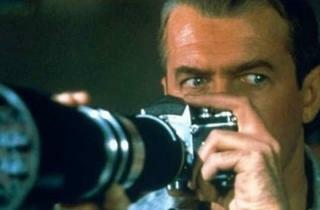 There is suspense enough, of course, but the important thing is the way that it is filmed: the camera never strays from inside Stewart's apartment, and every shot is closely aligned with his point of view. And what this relentless monomaniac witnesses is everyone's dirty linen: suicide, broken dreams, and cheap death. Quite aside from the violation of intimacy, which is shocking enough, Hitchcock has nowhere else come so close to pure misanthropy, nor given us so disturbing a definition of what it is to watch the 'silent film' of other people's lives, whether across a courtyard or up on a screen. No wonder the sensual puritan in him punishes Stewart by breaking his other leg.